Melbourne-based developer Growland has expanded its portfolio into Melbourne’s western growth corridor with a land acquisition in Tarneit. The 65-hectare site will be home to a 900-lot masterplanned community with an estimated end-value of $420 million. The new Tarneit housing estate will include recreational parks and wetlands that will form part of the urban landscaping. Growland’s plan for the community complements the government’s recently approved Tarneit North Precinct Structure Plan, which will create a new blueprint for Tarneit that will provide a minimum of 10,200 new homes. Growland CEO Ronald Chan said the acquisition is part of the company’s vigorous expansion strategy, with an aim to provide diversified residential product to the market across land, apartments, townhouses and mixed-use. “Our acquisition of this site reflects Growland’s developing presence in the market and the evolution of our brand as we continue to deliver high-quality, affordable communities across Melbourne,” Chan said. RP Data revealed property prices in Tarneit are marking a 6.8% annual growth rate. This growth was recognised by the State Government, which has committed $533 million in infrastructure improvements for the City of Wyndham to deliver amenity to the booming region. The Wyndham West Development Contributions Plan (DCP) will help fund the delivery of 15.6 kilometres of new roads, 33 intersections, 27 bridges, 18 full size sports fields within 122 hectares of new open space and 6.3 hectares of land for community facilities across seven new precincts over the next 30 years. 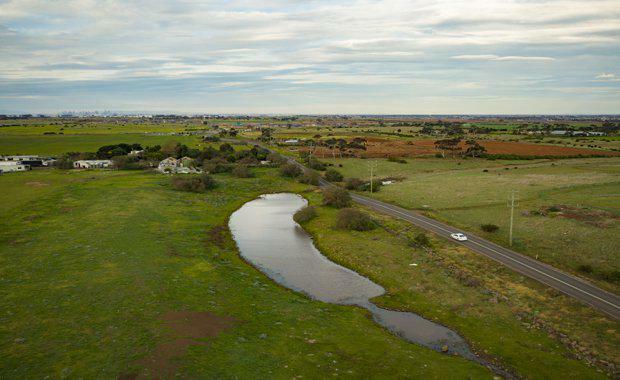 Research by Oliver Hume said land in Tarneit experiences an average of 1.4 months on the market, with a high proportion of Tarneit buyers being owner occupiers, and 50% of those being first home buyers. “Tarneit represents a fantastic opportunity for buyers. It’s a dynamic, rapidly-evolving suburb that offers good schools, amenities, large blocks of land and quick transport links to Melbourne’s CBD, just 22km away,” Chan said. “Many buyers in Tarneit are coming from Sydney and Western Sydney due to Melbourne’s relative affordability and lifestyle, which is a trend we believe will continue as Sydney land prices remain out of reach for many. "The site also presents an opportunity for medium density housing in the future. Growland’s new Tarneit community, set to launch in November, will be rolled out across 20 stages and will offer a variety of lot sizes and home configurations.